This product has been replaced by the 1.5 Amp HO Scale Mobile Decoder (DH163D) and is no longer available. Click here to view the DH163D. 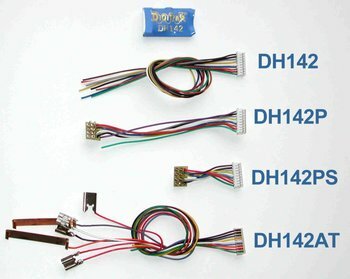 DH142 Series 1.5 Amp Digital Command Control Decoder. Also available as DH142P with DCC medium plug, DH142PS with DCC short plug, and as DH142AT with Athearn Clips. 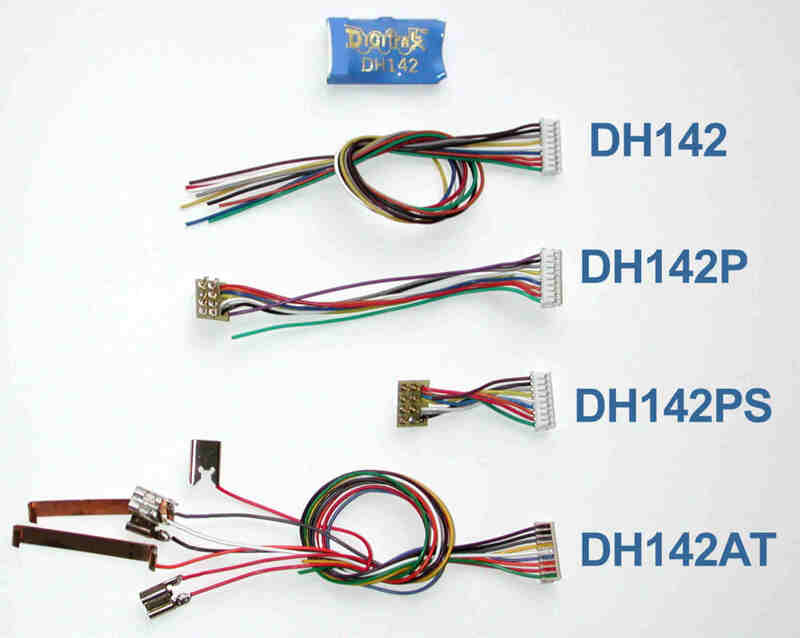 Technical note: If using DH142, DN142, DN141K2, DN149K2 series decoder, when F1 is set up for FX, F2 must also be set up as FX (It can’t be used as standard on/off function.) If you want to use a combination of FX & standard on/off functions, please use F1 as the standard on/off function and F2 as the FX function.